The weeks are really flying by at the moment. Driving home from my parents’ last night, Chris said as to how nice it was to be leaving at 8:30pm and it still being light. And for some reason my mind jumped to Winter evenings, where it’s dark at 4pm, it’s raining outside and you have to run in from the car so you don’t get soaked and freeze to death. The weather then is miserable, but I love that you then get to curl up on the sofa under a blanket with your pyjamas on, rather than having to do X,Y, and Z because you have to make the most of the light. And then I got thinking about the “C” word that I would probably lose a few readers if I actually mentioned the word this early in the year. But it meant that I got my head round thinking about a few possible presents to go on lists! Organised or what!?! Anyway, enough wittering…lets have a little weekly catch up and talk about this weeks Living Arrows photo…. This weekend we spent up at my parents’. This wasn’t our initial plan for this weekend, but my sister-in-law managed to double book themselves with my parents, so we all decided to go up for the weekend, so it was a bit of a full house! On Saturday we had a bit of a slow start….well…some did. Isla and I were annoying her Grandma and Grandpa at 8am!! By the time we were all ready to do something, Isla was ready to go for a nap! So instead we chilled out at home, and I was a total loser and caught up on several months worth of Gardeners World Magazine! I am so rock and roll, I know!! When Isla woke up, all of us except Mum went for a walk up to the castle to get a bit of fresh air. Isla mostly loved it…apart from the time where she face-planted in to my knee! Saturday night was a bit of a novelty for us all. Isla had a bath with Grandpa rather than Mummy or Daddy, and Grandma gave her her bottle and put her to bed! No tears, nothing. Progress! This is good for the future as maybe we could leave Isla with them for the evening and go out…or maybe even some day over night! One step at a time though I think! We all had an amazing meal that mum cooked – a lamb curry, and a paneer & aubergine curry (I stayed away from this one) and a side of some sort of curried green beans (!?! I don’t know, it was spicy so I stayed away from it!). All from one of Atul Kochhar’s recipe books that I got Mum for her birthday, after she really enjoyed his food at Pub in the Park earlier in the year. On Sunday morning Chris, me, Mum, my brother and Isla all went swimming. 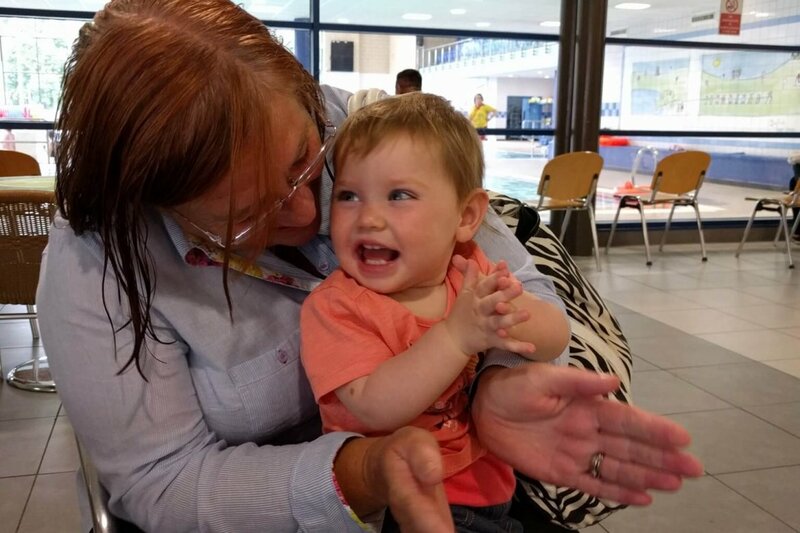 I used to take Isla to swimming lessons every week, but we haven’t been since before Easter, as they changed the day and location, and that just didn’t work for us. Which is a really shame, as they were a bargain, and Isla on the whole enjoyed them. Although we were up and out the house earlier than on Saturday, I think that by the time we got to swimming Isla was probably a bit tired. The swimming pool was bloody freezing as well, in fact, the baby pool was the same temperature as the main pool. It was also very loud and busy. So in all, it wasn’t really a success, as Isla cried a lot of the time. She did have a bit of fun at times, but then would randomly decide to start crying again! Maybe another time we can go to a different swimming pool, and get there while Isla is still wide awake. So although Isla spent a lot of swimming in tears…by the time she got out and was dressed, she was happy as Larry….whoever Larry is! 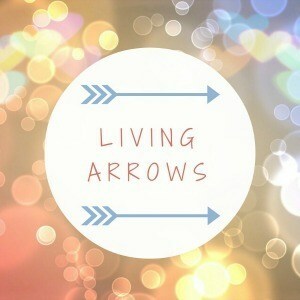 That’s where this weeks Living Arrows photo was taken. She is sat on her Grandma’s knee, clapping and laughing away. I love this photo, as it really captures as to how happy Isla has been for pretty much all the weekend. She loves going to spend time with her Grandma and Grandpa. And loves seeing her Aunty Jamie and Uncle Heather too. She gets spoilt rotten…and we have loads of people to chase after her when she decides to go and explore all round the house!! 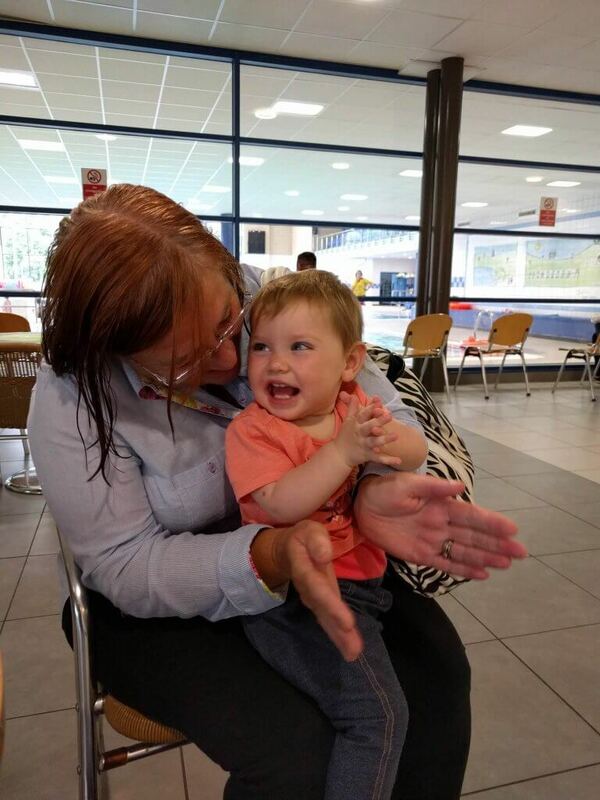 Next mission is to arrange a weekend with Isla’s Nana Jan, as it’s been far too long since we’ve seen her, and Isla really wants some Nanny cuddles! How was your weekend? Do you love spending it with family? Or do you avoid them at all costs?